Happy new week, everyone, from the IPKat, Merpel and the AmeriKat! 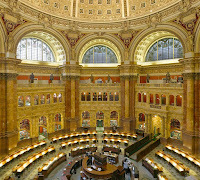 "The Library's traditional functions, acquiring, cataloging, preserving and serving collection materials of historical importance to the Congress and to the American people to foster education and scholarship, extend to digital materials, including Web sites". This is great news, says, the IPKat, who has spotted substantial evidence of scholarship in many weblogs and whose own blog has been avowedly didactic since it was initiated as a means of updating postgraduate IP students on the University of London LLM course back in 2003. 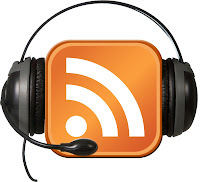 Duncan Bucknell's IP Think Tank podcasts have provided much harmless amusement to many readers and even the occasional educative content [Is the Library of Congress archiving worthy podcasts too, wonders the IPKat]. There's a little post from Duncan here on the production process, which shows how much patient work and careful goes into turning them into plausible end products. "I regard the concepts of both marks to be clear and specific, capable of immediate grasp by the average consumer. 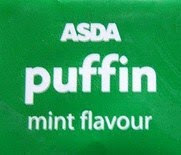 Asda’s mark refers simply to a puffin (being a sea bird) whereas Ms Ramsay’s mark refers to the faeces of such a bird. I note Asda’s submission that both marks relate to PUFFINS. Whilst this is true, any similarity on this point alone strikes me as a fairly superficial one. This is because the actual meanings of both marks are quite different and distinct. The concept of a particular bird is quite different from the concept of a particular bird’s poo (even if the particular bird is the same). This creates a quite different overall message and a strong conceptual difference that is likely to be noticed by the average consumer which, in turn, will cause a counteraction in terms of overall similarity". So many people are now asking the IPKat why they're not allowed to know the contents of ACTA (the Anti-Counterfeiting Trade Agreement) that it's disturbing him from his work. It must be disturbing the US legislators a bit too, since it seems that even the handsome, dashing Senator Ron Wyden (D-Oregon) doesn't seem to know its contents, even though "the info has been given to Hollywood, the recording industry, software makers and even some digital-rights groups". Well, it's quite plain says the IPKat in one of his moments of naive relevation: since the counterfeiters don't tell governments when how and when they do their counterfeiting, it's only fair that the governments of the IP-owning nations shouldn't tell them what they're going to do about it. But how dreadful, says Merpel, and how different from our own British Parliamentarians -- who seem to know absolutely everything except perhaps the mysterious circumstances surrounding the mis-completion of their expenses claims (thanks, fellow-blogger Nikos Prentoulis, for this link). 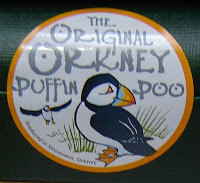 Asda's Puffin would be their Penguin "homage", then..
"Of Penguins, Puffins and Poo" has a certain je ne sais quoi, no?